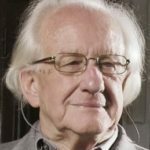 Johan Galtung: Never Again! Against Militarism; for Conflict Transformation. But “never again” what? Never again should children suffer like I suffered my father’s imprisonment. Never again should such massive violence & brutalization reoccur. Not only to me and my family, but “never again” should such warfare and violence happen anywhere to anyone else. We are in 2018. A fresh year. A fresh start. I am now 87 years young (of course), turning 88 on UN day, Oct. 24th 2018. I have understood and taught quite a lot about the causes and dynamics of the social patterns of interaction that reflect “never again” as Peace Studies 101. Processes of interaction & History seem to be accelerating, as underlying contradictions in geopolitics are metastasizing quickly. Today, stupendously, the very “never again” stance which led me to found the 1st Peace Research centre at a university continues to be usurped. Alas, the observation is this: WWII was won, yes yes… by the allies and atlanticists etc… we know all of that… that is not the point. The point, from my “never again” stance, is that it was won by MILITARISM. At what cost? Bombing from the air with jets and semi-autonomous drones killing disproportionately more civilians than combatants – including children like I was in ’43 – for causes mainly cultural, political, material, economic & geological. In short: using violent MEANS to create peaceful ENDS. A patent absurdity which has been normalized with the victory of MILITARISM in and since 1945. For 2018, my key message is this: We have evolved past this atavism! The branch of Peace Studies I & others represent, proposes techniques, tools & methods for peace by PEACEFUL means. Militarism in 2018, as a standard operating procedure for geopolitics is not only atavistic like bloodletting as a medical practice; it is the cause of Trauma which in turn causes grievances in turn fuelling revenge in turn fuelling violence then again trauma in vicious cycles. “Never Again” frees us from kneejerk VIOLENCE & MILITARISM as responses to socio-political ills. 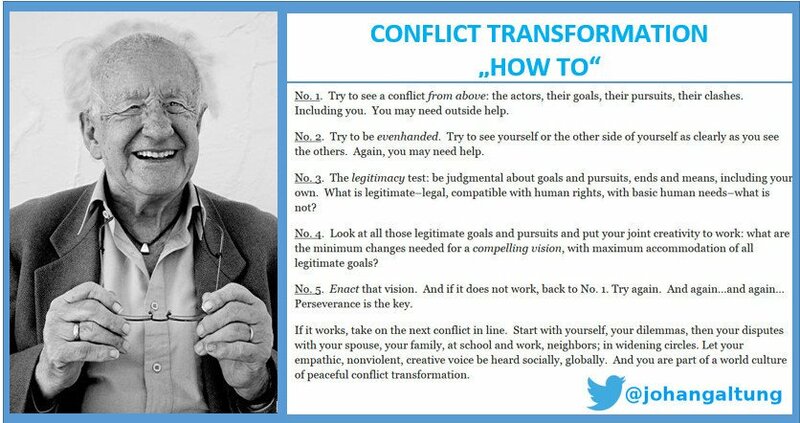 We in Peace Studies have already moved to more sophisticated, dialogical, empathic & nonviolent approaches like #ConflictTransformation. May 2018 usher in this paradigm shift!